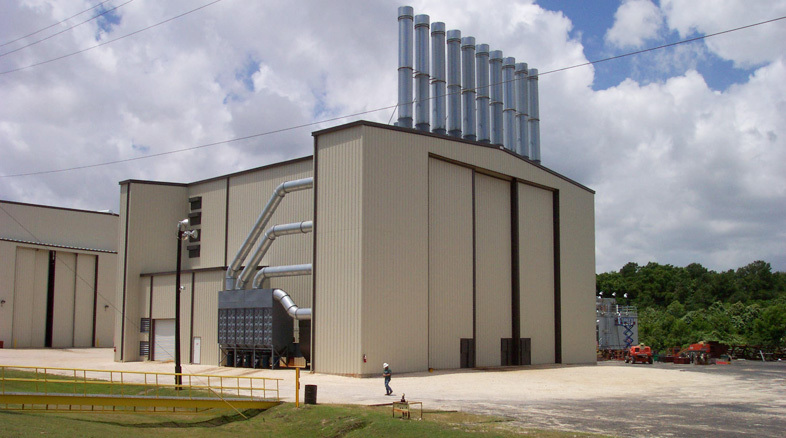 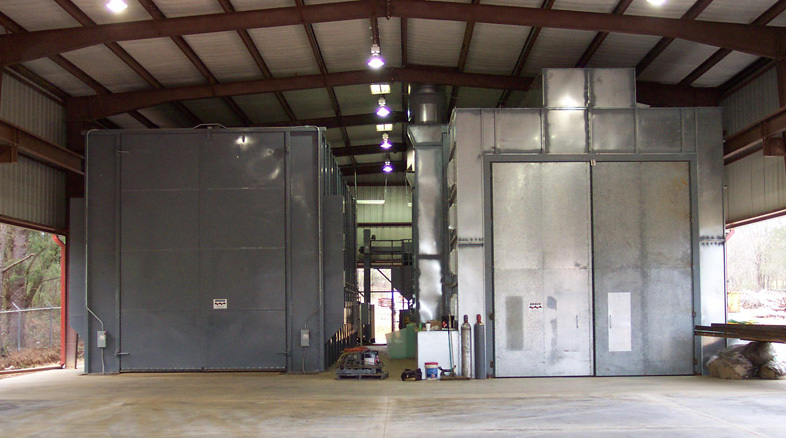 For blast cleaning large steel fabrication, enclosed steel grit blasting facilities provide the optimum in continuous production efficiency. 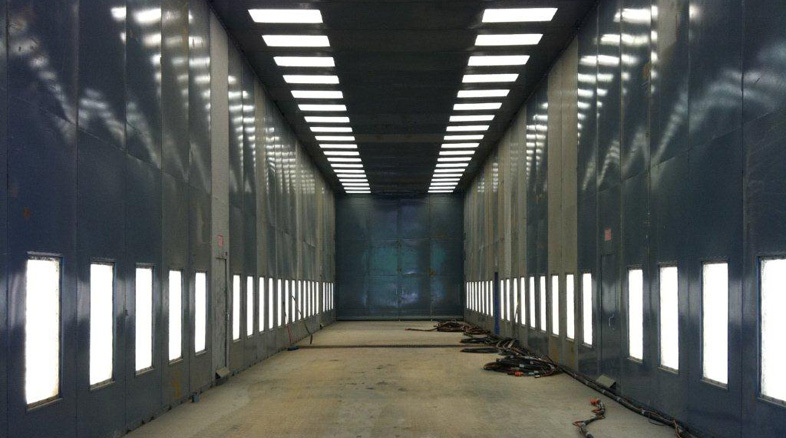 Each blast room feature, including the degree of automation, is engineered to reduce both operating and maintenance cost. 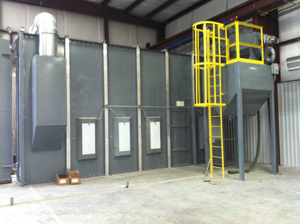 Often, your savings from the continuous reuse of the steel abrasive alone are enough to pay for the entire blast room facility. 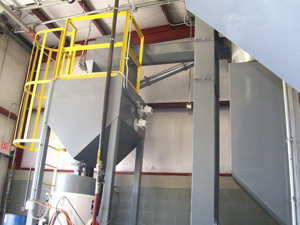 As a material handling option, manually operated 1,000 lb. 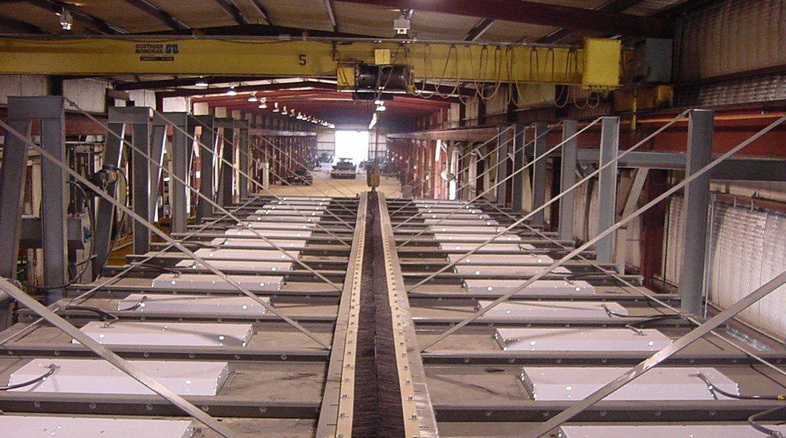 chain hoist can be incorporated within the blast room structure to assist in re-positioning equipment for blasting without having to leave the system for a forklift to make the move. 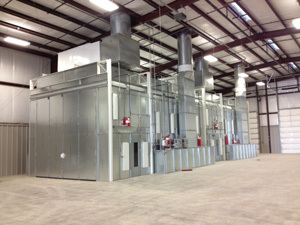 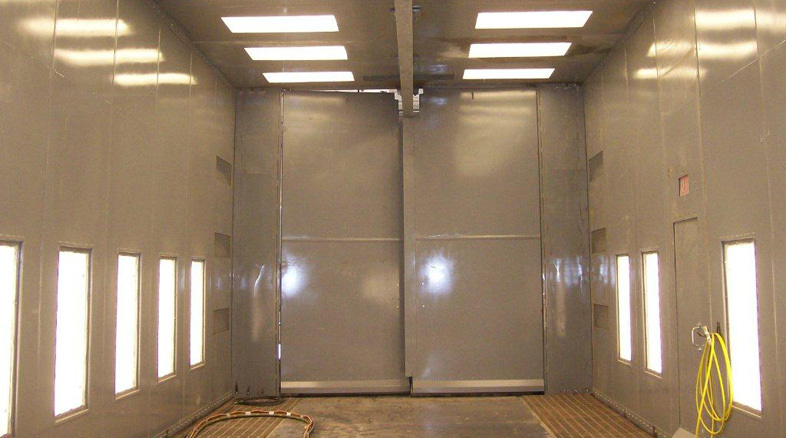 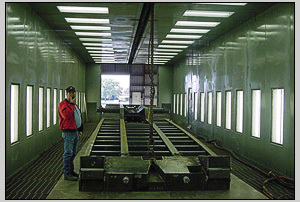 System shown is 18'W x 18'H x 50'L, Side down draft paint spray booth.